Researching your genealogy will uncover a lot of interesting facts about your family tree. But how do you actually find your ancestors and learn about their working life? The My Ancestor Was books is a series of guides that will help you explore the lives of your ancestor. They will also help you find occupation records so that you can understand what they went through to make a living. Learning about your ancestors occupations will help! When I first started to trace my family history I was interested in the usual tidbits of information that I could find out about my ancestors. I would collect names and dates which would help me build up my family tree. I would also discover what they would do for a living. But I didn’t really understand what was involved in their line of work. To be honest I wasn’t even sure how to even find their work records. And even if they were available. As my ancestors came from many different backgrounds then obviously there were many different trades and jobs to be found in my family. I was interested to not only discover what it was like for my ancestors but also how to find out how to get these records as well. Only from these resources was I able to comprehend and appreciate what they went through to get through their daily life. To understand what they went through to put bread on the table and how they provided for their family. It really opens your eyes to what it was like for them when you discover this part of your family’s history. I will discuss what you can expect from each of the following 14 books in this review. Although these books are available in the US and the UK, they discuss what life was like in the UK for your ancestors. These books will also discuss resources that you can find to get your ancestors work records. Also, these books are available in the Kindle format. So, once you have purchased them then you can immediately start to trace your ancestors. There is no waiting for a book to arrive in the mail. If you do wish to purchase a paperback then there are links available when you go through the Amazon links. 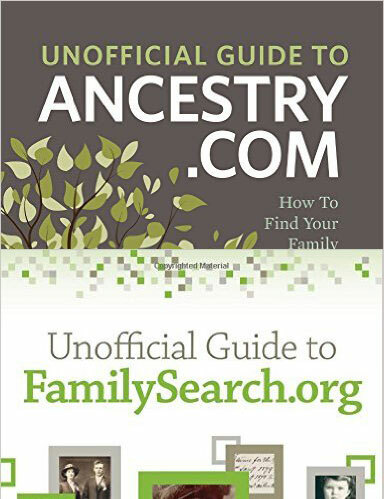 Discover more of these books by visiting the site of the Society of Genealogists. It is most probable that one, if not many, of your ancestors worked the land. After all this was the most common way for our ancestors to provide for their family. This book will detail what it was like to grow up and work in such an environment. There were many different types of work to be found on the farm and your ancestor may have had to become an expert in all of them. Also, there were different types of work for the different times of the year. There would be chores such as ploughing, sowing and harvesting to be done throughout the year. I must point out here that the term agricultural labourer, or ag lab, was the same as farm laborer. If you see either of these in Census records, parish registers, or official documents then your ancestor would have worked on the land. While the first part of the book looks at what life was like as a farmer, the second part helps you find these records. The book will discuss Quarter Sessions, tithe schedules, manorial records, estate records and discuss trade union records. A bibliography is also to be found in the book as well as a list of Parliamentary Bills. These bills would have affected the life of your ancestor in some way. If your ancestor was not working on the land then he could have quite probably have been learning a trade. This is what occurred in my family. My ancestors were originally farm laborers, working the land for an estate. Eventually one of my relatives would learn a new trade, that being a cordwainer. In other words this was a shoemaker. He would have learned this trade from someone who had experience. He would therefore have been an apprentice to a master shoemaker. All sorts of apprenticeships covered! It is quite likely that not only would you have had farm laborers in your family tree but also apprentices as well. In this book you will find a description of the different types of apprenticeship. The history of apprenticeships in the United Kingdom will also be explored. It will also show the importance that the role of apprenticeships had to society and how the Industrial Age grew from the middle ages to the 19th Century. Not only will the term and the history of being an apprentice be explored but also there is a comprehensive guide to sources and records. It will suggest ways in which you may investigate your ancestral records. Your ancestor’s apprenticeship may have been recorded in indentures. There would also have been other types of records, such as freedom registration, inland revenue, charity records, court examinations and proceedings. You could also explore the work that your ancestor did through records such as wills, poll records and parliamentary papers. By exploring these records you can also discover the status or grade that your ancestor had reached in their trade. 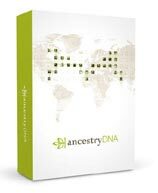 The final part of the book contains useful indexes and references that will help you track down your ancestor. There are many sources to be found in this section of the book, and most probably it will help you find your ancestor. Not only were my ancestors both farm laborers or learning a new trade, but also a few of them were in the British Army. To find out about your ancestors you will learn about the War Office (WO) records. These are available from the National Archive in the United Kingdom. You will also discover that a lot of these records have been uploaded online for you to explore. So, chances are that you will find your ancestor’s war records from this resource. This book will explore the history of the British Army from 1660 to the First World War and Second World War as well. So, there is nearly 300 years of war history to be found in this book. Learning about where your ancestors were employed and where they served can give you an eye opener into their life. I have not only found out about these records but also as to the history of the destinations that they served. Helping me trace my ancestors military life! My ancestors joined the British Army prior to the First World War. I was intrigued to not only find out where they served but also what regiment and rank that they achieved. As well as what medals they were awarded. The book also explores ways for you to discover pension records of your war relatives. There is also appendices that will give you references to Regimental Records and War Office records that are found at the National Archive. There is such a wealth of information here that will help you discover the life of your war time relative. It has quite surprised me that I have reached this part of the article and I still find relatives of mine attached to all of these job descriptions. But maybe it should not as I have discussed at the start of this article. As our family trees are quite vast and today we can explore so much of our rich family history we can find so many different types of work. So, whether they worked the land, learned a trade or joined the army we can find their records, to some extent of course. Different Types Of Coalmine Work! As my family originated in the United Kingdom a significant branch of my family worked in coal mines. There were many different types of work to be found at the mines, such as a coal hewer which was another term for a coal miner. There would also be people who worked the shafts, i.e. pulled people up and down the shafts to the coal seams. One of my ancestors was involved in the distribution of coal, in other words he sold the coal. One of my ancestor’s was even a fireman. This term though was different to what we know as a fireman today. In this role my ancestor was responsible for expelling the dangerous gases that were found in the coal mines. A very dangerous job to have in those days. By 1850 there were about 3000 coal mines to be found in the United Kingdom. So, there is a good chance that maybe one of your relatives worked in the coal mines of Britain. It was an important industry as it quite literally helped to ‘fuel’ the Industrial Age. If you want to know about what it was like to be a coalminer or to be a part of this industry then this book will help you immensely. It will help you explore your coalmining ancestors by showing you what resources that you can find and use. It will show you the many sources of information that are available to you. Well, I have reached the fifth book of this article and I have still found yet another trade or job that my ancestor worked in. As I mentioned near the start of this article one of my ancestors was a shoemaker. And so he worked in the leather industry. My ancestors would also work in this industry for a number of generations. So, this book was a great asset to me learning about the many different types of work that were found within the leather industry. The leather trade had reached its height during the early to mid 1800s. And so there were different types of work to be found within the industry. To be honest though it is not surprising to find my ancestors within this industry as there were thousands of works in this trade by the 1850s. There were even cricket ball and sporran makers as well. So, if your ancestor worked in the leather industry then they could have worked in any one of these different jobs. All of these and many other trades are covered in this book. What’s discussed in this book? The book will discuss the processes that were used to create leather and also what the working conditions were like for your ancestors. Knowing how your ancestor carried out their role really gives you a deep appreciation and understanding of their working life. And also how hard it actually was for them. So, not only will this book list and discuss these different types of work but it will help you find your ancestors’ work records as well. There is a comprehensive list of the different types of record and how you can find them. The attached appendices details what can be found in the records held all over the UK. There are many jobs that your ancestors did as you trace out your family history. During the Industrial Revolution there were 2 million people working on the railway. There is a fairly good chance that one, (if not more of your ancestors), worked on the railway. There are many other jobs that they could have done besides driving a train. So, I wonder what you will discover? If you are like me then you will discover many different jobs that your ancestor performed while working in this area. So, while you may have discovered that your ancestor did work on the railway you may also wonder what exactly they did as well. Your ancestor may have worked on passenger trains, freight or maybe even both. They may have had other jobs such as maintaining all trains or the track itself. Where can you find records? This book will give you a brief history of the railways in Britain, as well as cover terms and phrases that were used in both the Victorian and Edwardian eras. The author Frank Hardy discusses what your ancestor did on the railway and how you may find records to trace your ancestors. What is also good to hear is that many of these records are now available online. These records can be found through The National Archives, who have digitized and uploaded many historic railway records. With the help of these records they describe the live of the employees, (our ancestors). You can find these records by either visiting The National Archives or through Ancestry. Your ancestor may have wanted to sail the seas and discover the world. One of the ways that they could have done this is by enlisting with the Royal Navy. A couple of my ancestors went to sea although they joined the merchant navy instead. If you do have ancestors in your family tree that were in the Royal Navy then you are probably wondering what life was like for them. You probably want to know what all the insignias and ranks mean, as well as try to find records relating to their seafaring life. What can you uncover with this book? This book will give you a brief history of the service. It will explore the terms, insignias, and the divisions and branches of the Royal Navy. It will also look at pensions, dockyards around Britain, casualties as a result of war. Through this book you may discover whether your ancestor was even punished for any misdemeanors. These can be found by checking court martial and tribunal records. There is also much more besides all this. This book will help guide through all the different Navy records that date from before the 1700s that still exist today. It will help show you what to look for as we’ll a site explain all the terminology that you will need to know about. We have all seen the British show Downton Abbey. Watching this show we have been mesmerized not only by the costumes but also the relationship between the family of the house and the servants. One of my ancestors did work for an estate as a cordwainer (shoemaker), although he did not live within the mansion. He would have had his own home where he would have a room that he could use to make the shoes. Was your ancestor the master or servant? If you’re lucky enough you may claim a lord or a duke, or even a notable member of society within your family tree. However, most likely you will find a relative working as a member of staff within the walls of these large houses or the estate that they would have owned. In fact by the end of the Victorian era, (the late 1800s), there was nearly a third of all women in Britain working in service. This book will introduce you to what it was like being in service during the late 19th Century and early 20th Century. There were a range of different roles that your ancestor may have performed. This could range from a chambermaid, who would make the beds, etc, to the cooks that made the meals for the lords and ladies. This book will help you find these service women and men in your family tree. It will also help you to research the people in your family’s that may have even employed domestic staff. There are plenty of resources included in this book as well. It looks at the addresses of vital record offices. It will also suggest to you areas of research, trade directories, newspapers, wage books, and a lot more resources. This book is quite different to what I have covered thus far. As yet I have not discovered any ancestor or distant relative who was a studio photographer. Despite this though many photos in my photo album comprise studio photos. But that does not mean that you will find a studio photographer in your family tree. Maybe you already know of one or maybe a relative knows. Why not check with them for find out? As a side note one of my ancestors did dabble in trick photography. In one photograph he took a photo of him cutting his own hair. There was another one where his sister was reading her own palm. Both of these involved the practice of double exposure. A good chance you may have an photographer in your tree! Anyway, unlike me your ancestor may have been a studio photographer. So, if you are reading this then you are interested in what this job was like. 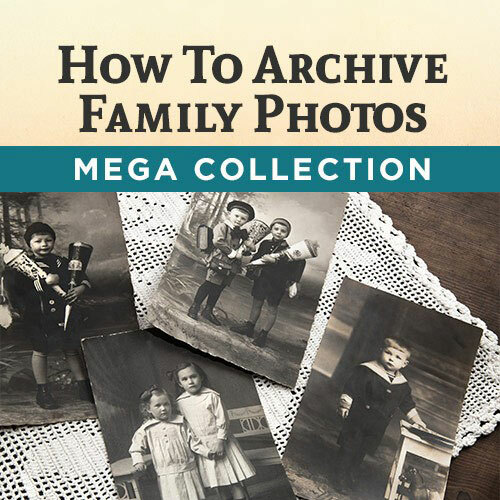 You may also want to find surviving examples of your ancestor’s work. Incredibly there was a staggering 6000 photographers registered within the London area. 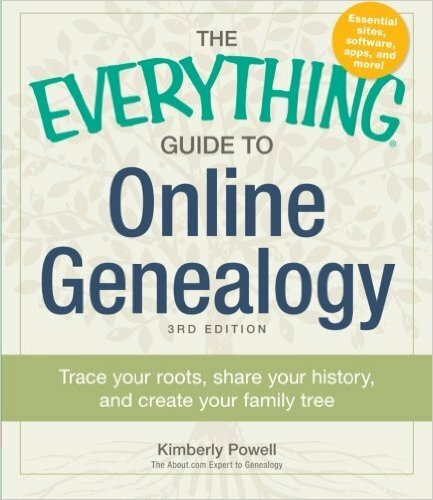 So, not only helping you to find examples of your ancestor’s work this book will also help you find resources relating to their work. River Thames is the well-known river that runs through London, England. You maybe surprised to know that it is in fact 215 miles long. The author of this book, James Legon, is a descendant of eight generations who worked on the River Thames. He gives you an insight into the roles that your ancestor may have had, such as a lighterman or a waterman. The job of a lighterman was to operate a lighter, which was a flat-bottomed barge. This could have either have been powered or unpowered. If it wasn’t powered then it would be pulled by a tug. He would be responsible for carrying goods. A waterman on the other hand would transfer passengers across and along city centres. They would be in charge of row boats, sailing boats, steam boats, and any kind of vessel that worked on the waterways. What help do you get! This book gives an insightful look the two job roles of lighterman and waterman. It will also guide you to trace such records as well. Finding out that your ancestor worked on the Thames can be interesting enough. But with this book you get an understanding of what working life was for them. And with help from this book you will find your ancestors within the records. At one time I thought that I had a lawyer in my own family tree. I had found an ancestor of mine in a census, but the handwriting was fancy and difficult to read. 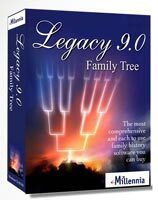 I was just starting out and learning all I could about my family tree and what it was to be a genealogist. What I thought to be ‘Lawyer‘ was in fact ‘Sawyer‘. It was only after spending a bit more time pondering this record that I saw that I was wrong. My point here is to take care when it comes to deciphering official documents. Also, you must be wary of the transcriber who has digitized these records. Sometimes they will too make mistakes as well when they are uploading these records online. The authors of this book will give you a valuable overview of the law profession in England and Wales. They also cover what records exist and how you can use them. Besides these main chapters there is much more included in the book that will help you along your way. There is also a useful section about lawyers in Scotland, Ireland and also English lawyers overseas. Described as the United Kingdom’s amphibious light infantry force forms part of the Naval Service. The other half that makes up this service is the Royal Navy. The Royal Marines were first formed in 1755, but can actually trace their origins back to 1664. Essentially the marines are trained for rapid deployment and can handle any threat. They are organized into a light infantry brigade and a number of separate units, as well as a number of other groups. The Royal Marines have been in action in a number of major wars, and often fighting beside the British Army. They also have close international ties with other allied marine forces, including the United States and the Netherlands. Together with the help of Major General Julian Thompson the author Ken Divall will help you explore your Royal Marine ancestors. The book will help you understand fully the history of the service with an introduction. They will give you guidance on how to trace your ancestors that served in the Royal Marines. 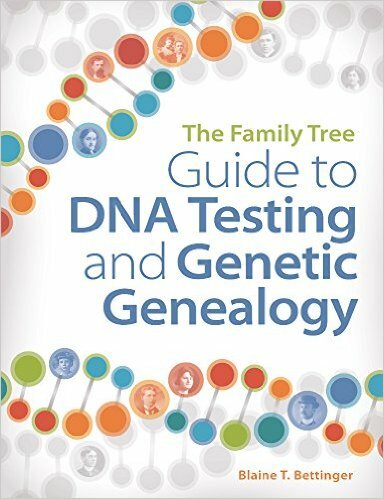 This guide book will list for you the records that are available to you help with your genealogy research. The author will also help you to locate these records. Women during wartime would fill many roles that would traditionally be male jobs. The reason for this was obvious. As men went off to war the women essentially had to run the country and carry out important roles that would help continue the daily life of the United Kingdom. On the onset of war numerous advertisements would encourage women to fill these important male roles. But they would also take an active part in the war effort itself. They would for example join the nurse corps and the armed forces. This would therefore mean that more men could be sent into combat. This is a great book for you even if you do not know whether your female ancestors were involved with the war effort. The book details a wide range of roles that women undertook during wartime. For me this is particularly interesting as I like to read the contributions of everyone during this time. There are plenty of war documentaries on the television and also in bookshops. But you don’t usually see or hear about women’s contributions. This is a very useful aid in tracing your female ancestors military career. There is particular emphasis on the Victorian era and the First and Second World Wars. Show what records and resources are available! As well as helping you to trace military records there is also numerous case studies throughout the book that will fascinate you. So, as I have already said this is a great tool to trace your women at war ancestors. Or even if you are interested in military history and women’s contributions. I know that my grandparents and great grandparents on my father’s side would enjoy going to the theatre quite regularly. They would love to see the performers on stage sing, dance and sing. Despite not finding any relative of mine that performed on stage I am interested in this book. It shows another part of British life that is not always explored. It will also shows you how you can trace numerous records and resources which is also quite fascinating as well. A brief history of the theatre! This book gives a brief history of the theatre in Britain. It will also identify resources to help you, such as libraries and record repositories. Drawing upon these resources you will be able to trace the careers of your ancestors in the theatre. There are also examples included in the book that shows several showmen that were successfully traced and researched. 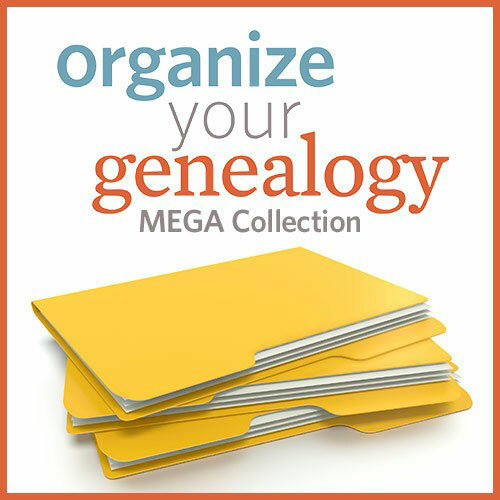 This will definitely aid you in your genealogy research as well as inspire you. 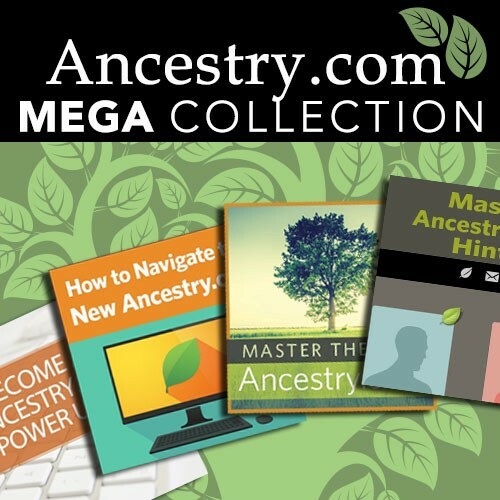 I hope you enjoyed this review for the My Ancestor Was series of guides showing you how to find your ancestors and discover what they did for a living. If you have any questions or comments then please leave a comment below.